A lot of art therapy seems based on emotions. I don’t actually have trouble expressing my emotions, but I am guessing that this is something a lot of people have trouble with. 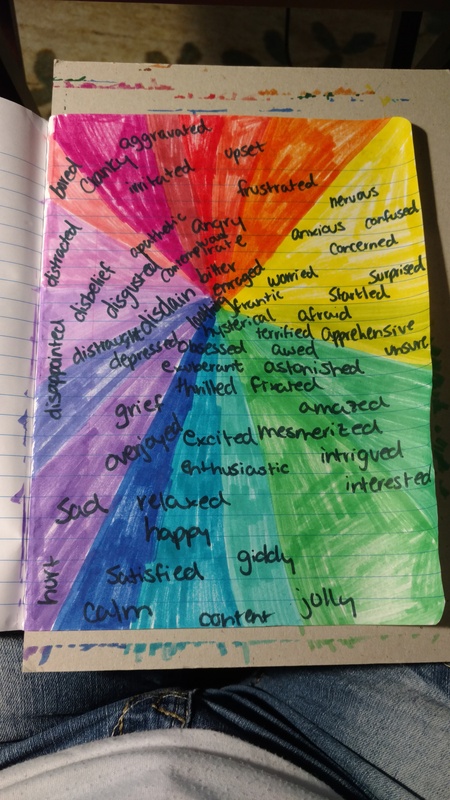 I’m not 100% sure of the point of this particular lesson, except to assign colors to emotions.